OverviewThis unit raises awareness of Earth Day and encourages students to think of ways we can protect our planet. Apart from the global content, the unit has a focus on developing reading skills. It also promotes further research within the topic. Put the following sentence on the board and ask students to complete it with their own names and finish it. Give students a couple of minutes, let them compare their ideas in pairs, and in the end, collect some ideas by writing them on the board. After that, put the following sentence on the board and ask students to put themselves in the place of Earth and finish the sentence. Proceed in the same way as before: allow students to compare their ideas and write some of their suggestions on the board. Earth Day is an annual event to celebrate the planet’s environment and raise public awareness about pollution. The day, April 22, is observed worldwide with rallies, conferences, outdoor activities and service projects. 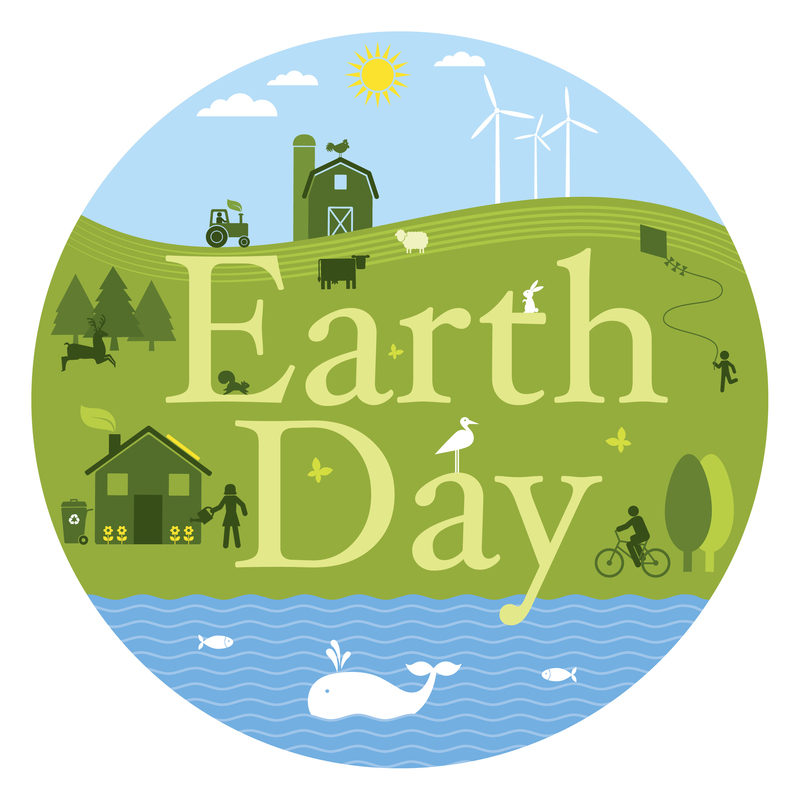 Started as a grassroots movement, Earth Day created public support for the creation of the Environmental Protection Agency (EPA) and contributed to the passage of the Clean Air Act, the Water Quality Improvement Act, the Endangered Species Act and several other environmental laws. The idea for Earth Day was proposed by then-Sen. Gaylord Nelson of Wisconsin, who died in 2005. The first Earth Day was in 1970. Sen. Gaylord Nelson, after seeing the damage done by a 1969 massive oil spill in Santa Barbara, California, was inspired to organize a national “teach-in” that focused on educating the public about the environment. Nelson recruited Denis Hayes, a politically active recent graduate of Stanford University, as national coordinator, and persuaded U.S. Rep. Pete McCloskey of California to be co-chairman. With a staff of 85, they were able to rally 20 million people across the United States on April 20, 1970. Universities held protests, and people gathered in public areas to talk about the environment and find ways to defend the planet. “Groups that had been fighting against oil spills, polluting factories and power plants, raw sewage, toxic dumps, pesticides, freeways, the loss of wilderness, and the extinction of wildlife suddenly realized they shared common values,” according to the Earth Day Network, which was founded by the event’s organizers to promote environmental citizenship and action year-round. In 1995, President Bill Clinton awarded Nelson the Presidential Medal of Freedom for being the founder of Earth Day. This is the highest honor given to civilians in the United States. Earth Day continued to grow over the years. In 1990, it went global, and 200 million people in 141 countries participated in the event, according to the Earth Day Network. Earth Day 2000 included 5,000 environmental groups and 184 countries. Hayes organized a campaign that focused on global warming and clean energy. “The world’s leaders in Kyoto, Japan, in late 1997, acknowledged the scientific fact that the leading cause of global warming is carbon emissions from fossil-fuel consumption, and that something must be done to address those rising emissions,” Hayes told National Geographic. In 2010, for the 40th anniversary of Earth Day, 225,000 people gathered at the National Mall for a climate rally. Earth Day Network launched a campaign to plant 1 billion trees, which was achieved in 2012, according to the organization. Earth Day is important because it reminds people to think about humanity’s values, the threats the planet faces and ways to help protect the environment, said Susan Clayton, a professor of psychology and environmental studies at The College of Wooster in Ohio. The CoolClimate Network has a variety of online widgets for people interested in calculating their own energy footprint. Now that students have watched the video and familiarised themselves with Earth Day, they can start thinking about the impact of Earth Day in more detail, i.e. why the “wants” of Earth are important. Ask them to formulate at least 5 sentences based on the video. You can give them an example: Rainforests are important as they provide habitat for plants and animals. In this last activity, students collect possible ideas about what an individual can do to protect the Earth. Put them into groups and ask them to come up with as many (realistic) ideas as they can. When they have finished, ask them to present their ideas to the class. You might want to emphasise that even the smallest steps can make a difference. Ask students to do some research and look for organisations/events/NGOs/companies that are running interesting and exciting projects or campaigns on Earth Day and collect information on how they can join and take the initiative within the scope of these programmes. This a good site: https://www.trashedworld.com/en Local action oriented specifically to EFL classes. Both books argue that to solve most key environmental issues, massive social and political change is necessary, our styles of consumerism and much more. Ozzie Zehner talks about >walkable neighborhoodsconversation about capitalism<, its realities, pluses + minuses. And about possible alternative futures. water. Can you drink and cook with your local tap water? Where I live we can't. A book well worth acquiring is Susan Freinkel, PLASTIC: A TOXIC LOVE STORY (2011) https://tinyurl.com/yd55kfbu Our hyper-dependency on plastics is extraordinary and utterly commonplace. Students can really discuss the presence everywhere of plastic in their daily lives, in their pockets as they sit in class, on & on, ubiquitous. A good topic and geared to naming things, objects. A collection of articles, role plays, simulations, stories, poems, and graphics to help breathe life into teaching about the environmental crisis.